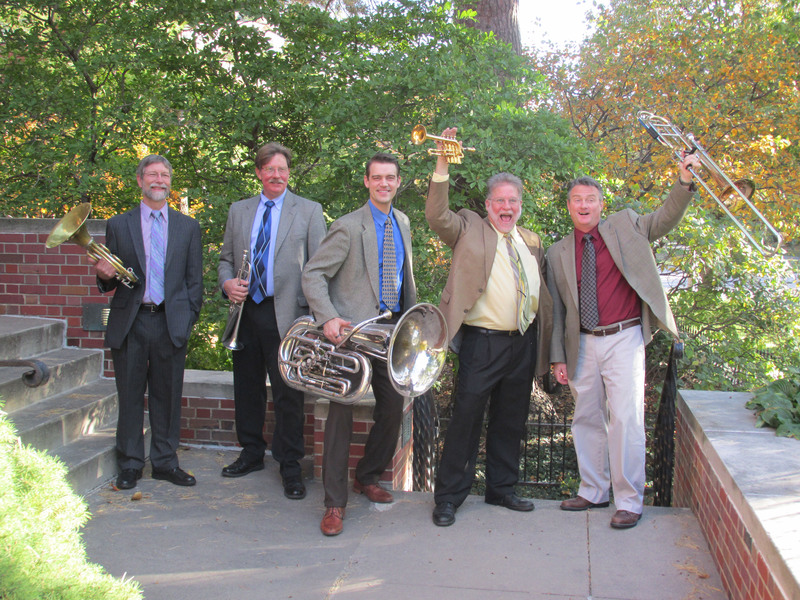 Nebraska Brass is one of the Midwest's most popular brass quintets, performing a wide variety of music including classical, Dixieland, and jazz. The Nebraska Brass celebrated its 30th Anniversary in 2017 with the release of their 7th album, Blowout!. Nebraska Brass also received a Mayor’s Arts Award in 2013. Several programs are available, including A Nebraska Brass Christmas, All-American Pops, and other concerts featuring various musical styles. Nebraska Brass can also customize a concert to suit the needs of the sponsoring community or organization. Your audience will be entertained by the ensemble’s style and precision, as well as engaging and humorous commentary. For student groups of all ages, the group will present a master class, a one-hour mini-concert, or a workshop that involves coaching and performing with school ensembles for an additional cost of $625. Technical requirements: Space of 20' x 15', five music stands, one armless chair, stage lighting and PA system for announcements.